Well, my friend, author, Amy Eden has an answer for everything that is keeping you stuck when it comes to addressing your deep, dark and highly personal issues. 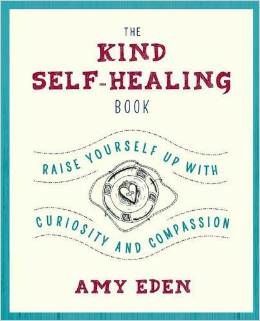 Her new book, The Kind Self-Healing Book, is an amazing work-book for anybody ready to tackle lifelong emotional issues that are hurtful or limiting. Here’s how Amy describes her book: If you grew up within a chaotic family environment caused by chronic inconsistency, stress, and emotional or physical abandonment or abuse-whether due to addictions, political unrest, war, or a parent’s mental health issues — The Kind Self-Healing Book is for you. If you are prone to anxiety, depression, self-doubt, people-pleasing, or decision-making influenced by fear, or if you want to free yourself of the coping behaviors that worked in a disordered childhood but don’t serve you in adulthood, The Kind Self-Healing Book is for you. So it wasn’t a complete surprise that while reading The Kind Self-Healing Book I wondered if I could make a little paper boat like the little drawing Amy uses at the bottom of each page. So, I Xeroxed two copies of the cover and placed them back to back and folded them, like I make a paper boat every day. And then it needed a flag, so I used a vintage dictionary page and pasted it on a toothpick mast. And rope is always good, so I rolled some twine. 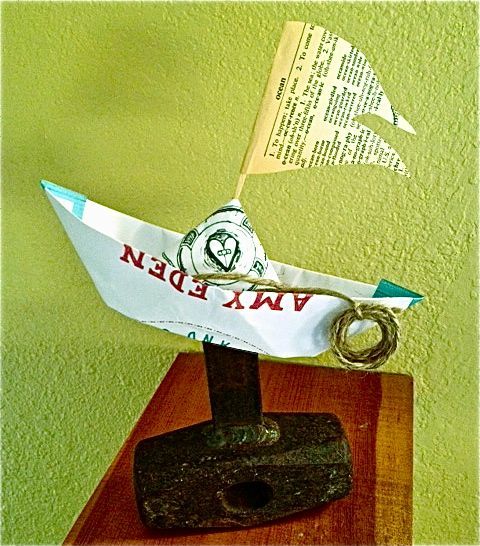 And a paper boat really needs a big anchor, in this case, a rusty old hammer-head. The strange part was, for the hour it took me to make this little construction, so I would have a fun image to go along with this blog post, I was completely at peace and content. Sort of like a child without worries. If you follow my Toxic Mom Toolkit Facebook page you know that I have finished the first draft of my book and that I’m editing chapters. I was thinking how valuable this chapter is and thought I’d put it up here. I hope this is helpful to you. I’m not a scientist, nor will I ever play one on T.V. In fact, I am SO not a scientist for many reasons including extreme medical squeamishness and an empty folder in my brain where my multiplication tables should reside. But I’ve long thought I should have some scientific perspective to help illuminate the fallout from toxic mothering or some really smart analysis of how children are negatively affected. How do people sort out how much their toxic mothers negatively affect their adult lives? Ask the universe and it will come to you. I met a new friend for coffee. This man happens to be a saintly sort, the director of a very interesting and progressive homeless shelter in the town where I live. A former attorney, he comes across as part professor, part priest, all compassionate caring. Which, couldn’t be more different than my first impression of “looks good on the outside” but “emotionally limping” on the inside. I decided not to hold his brains and confidence against him. Maybe I could learn something. He’s the one that introduced me to the exact information I sought in the form of a Kaiser Hospital study in which patients were asked a series of questions for a project that focused on Adverse Childhood Experiences, or ACES. In a nutshell, the study focuses on how the number of ACES one experiences in youth can be a point of calibration to predict emotional problems that could be serious in adulthood. My friend values the study as a way to look at the causes of homelessness, which is often the result of emotional turmoil or hopelessness. Sessions for homeless clients that utilize this measuring tool are taking place at my local shelter and the feedback has been positive. I, on the other hand, immediately valued the scientific study of taking a person’s life story and pulling out the ACES as a way of exploring what daughters of toxic mother’s experience. I like that by clicking off a page of questions a person could really see objectively that damage was indeed inflicted. I ran straight home and found the study online and the questionnaire and found that I scored 5 on this test. 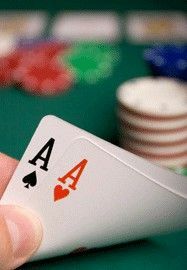 I knew from my coffee chat that anything over a four ACES was considered the tipping point for bad things including a high risk for becoming homeless. 6. Was a biological parent ever lost to you through divorced, abandonment, or other reason ? Someone who scored an 8 on this quiz filled out one of my questionnaires. Her story is included in my book Toxic Mom Toolkit.